Nowadays, travellers’ expectations of traveling and vacationing are becoming higher and higher. It is not only about the destination or the service that they are purchasing, but also about the attitude, knowledge and professionalism of tour guides; one of the most important factors to make the most of the trip and the adventure more memorable. Understanding our guests’ needs and expectations, Timetravels’ mission has always been focusing on gaining our guests’ trust and designing unique experiences for them to relax, enjoy and live in the moment. To make this mission possible, Timetravels regards the tour guides as the most important factor. This year our young, passionate potentials are from five countries, namely Finland, Russia, Netherlands, China and Vietnam. They will be our guides serving at the three following destinations: Saariselkä, Levi and Vasatokka. This year training’s theme is focused on the core values of Timetravels – passion, trust, fresh & fun and embrace. Consequently, a training program called Guide Academy was launched with the goal of developing our guides’ potentials regarding teamwork, problem-solving and customer-focused mindset. This year training’s theme is focused on the core values of Timetravels – passion, trust, fresh & fun and embrace. 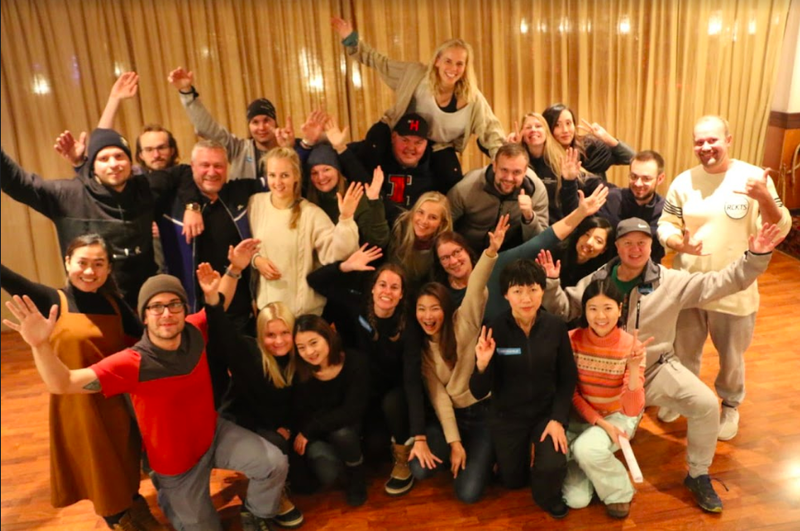 The training program lasted intensively for nine full days with the involvement of the company CEO and the team of destination managers as trainers. 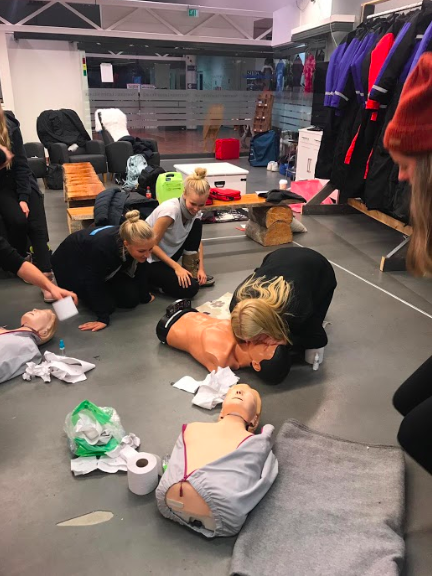 During the training, our guides had the opportunity to learn about leadership and teamwork, complete EA1 first-aid course, as well as to interact directly with our service providers. Spending full nine days together, team spirit within the company also grew substantially. In addition to the training, Timetravels Guide Handbook is also provided to assist our guides with practical information related to their work. Spending full nine days together, team spirit within the company also grew substantially. With the Guide Academy program, Timetravels’ tour guides are trained to think innovatively, to step out of comfort zone, and to challenge the limits in order to best serve our guests. Hence, they are equipped and capable to serve our guests with expert destination knowledge, professional customer service, and the mindset to go the extra mile. Thus, our guests can travel enjoyably and have a lifetime experience with Timetravels.